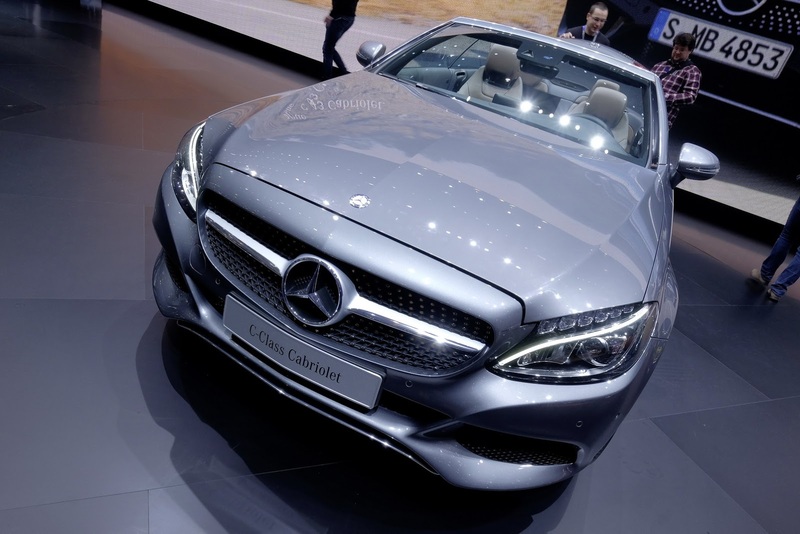 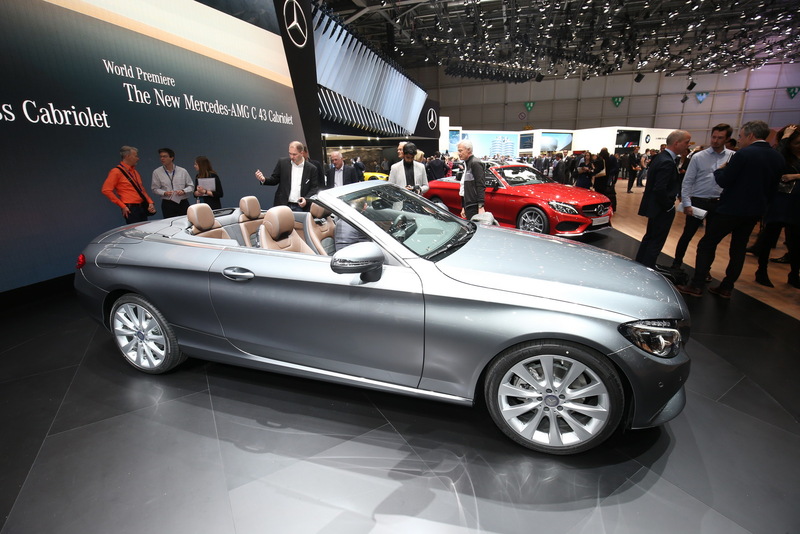 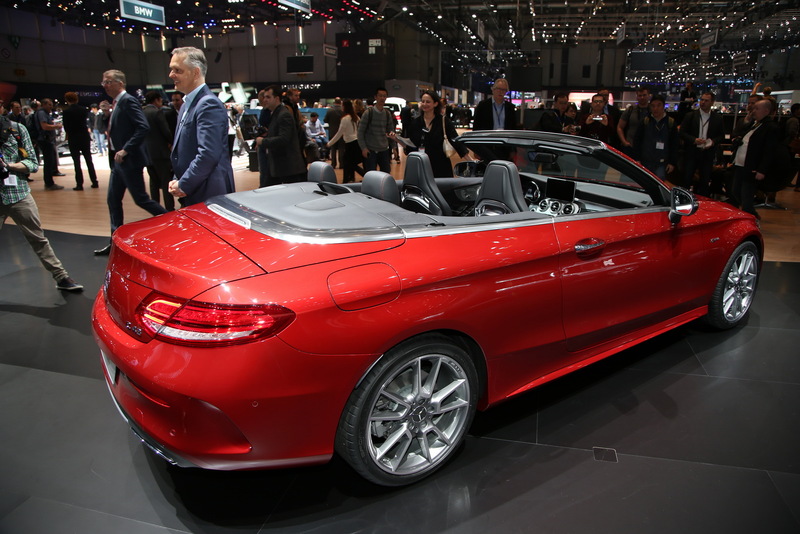 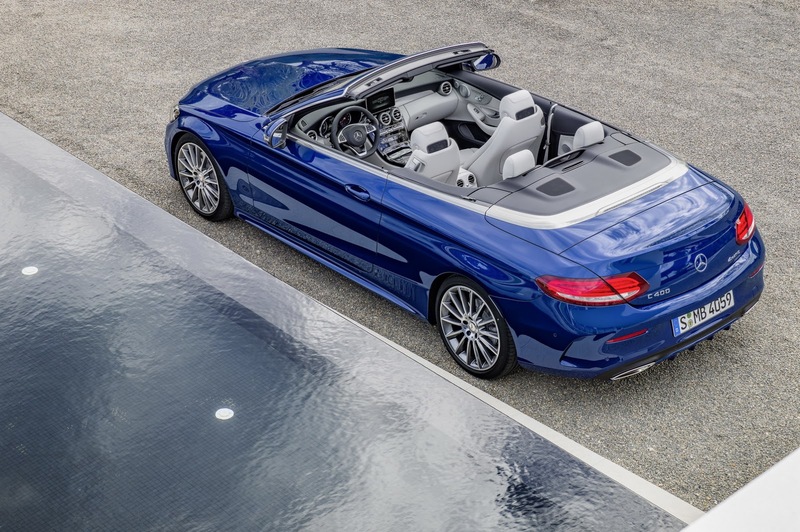 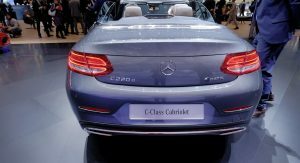 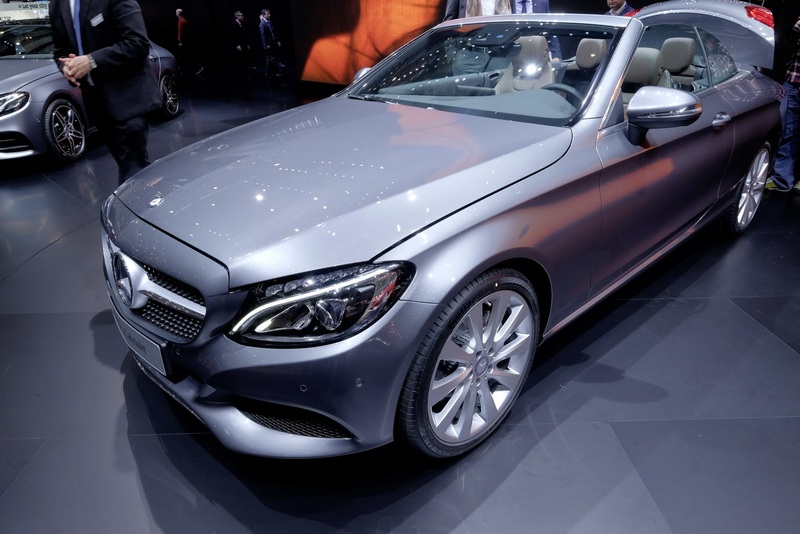 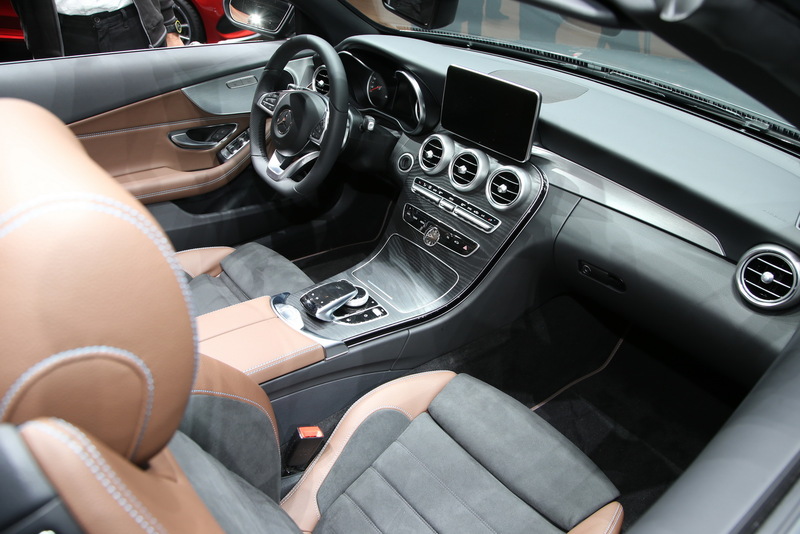 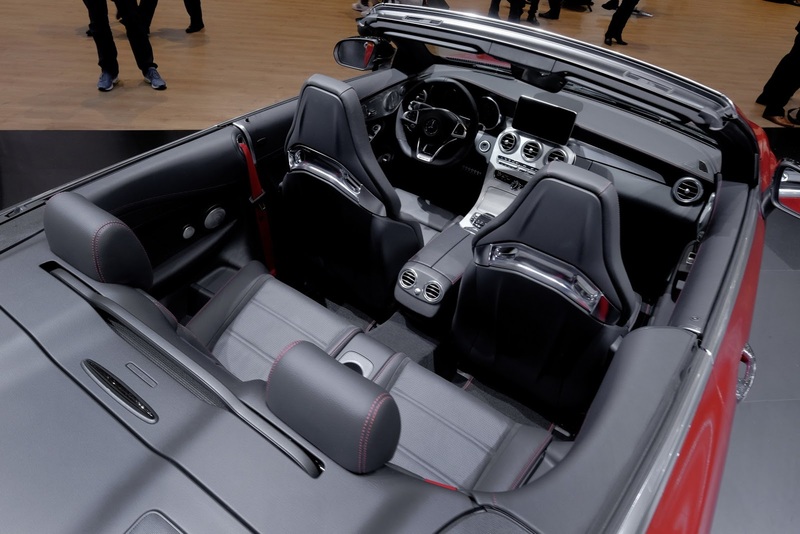 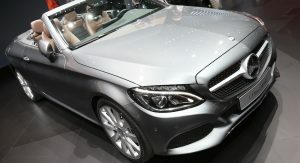 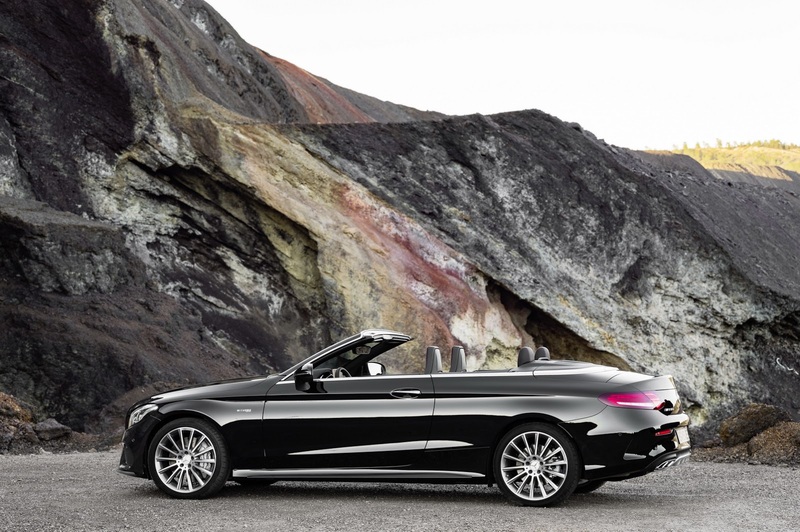 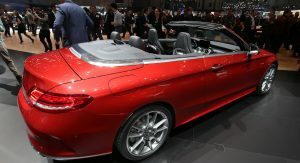 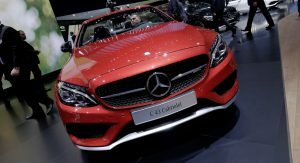 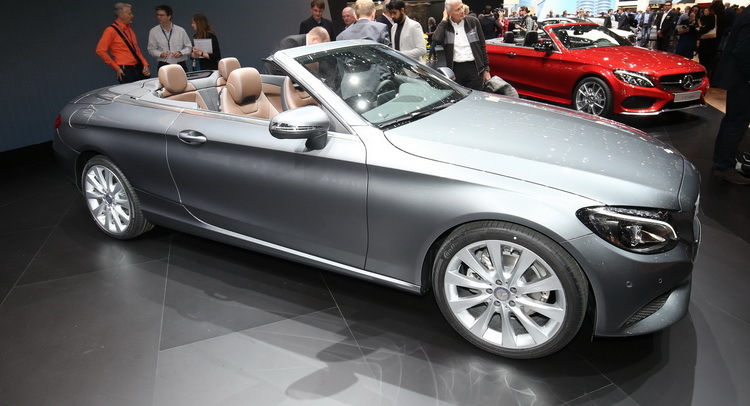 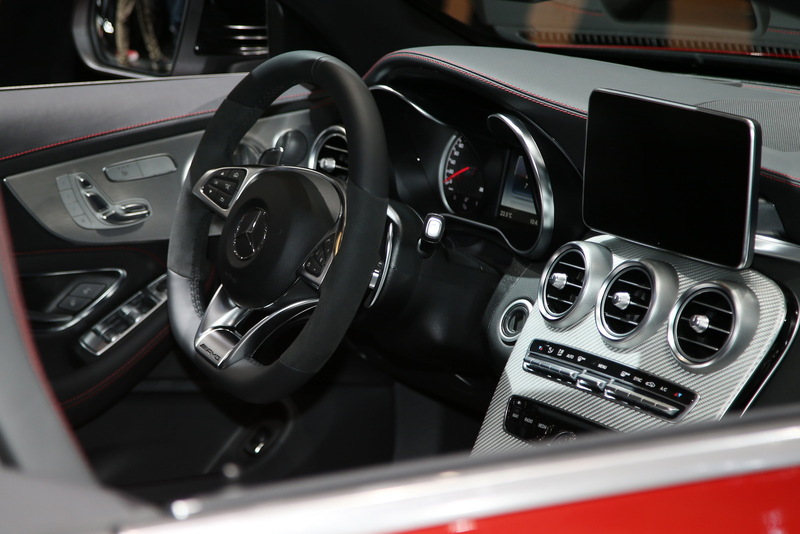 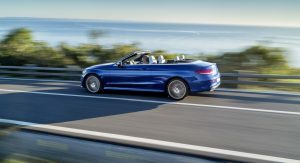 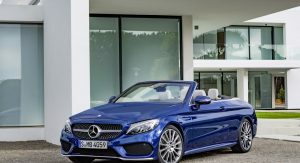 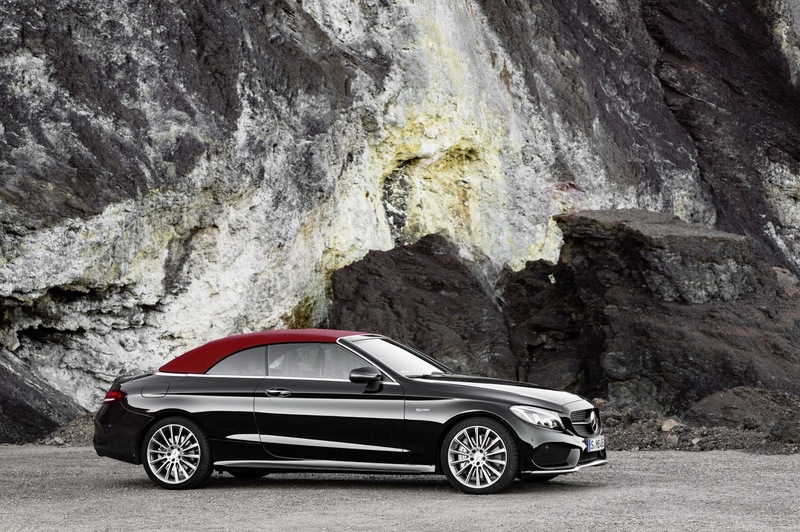 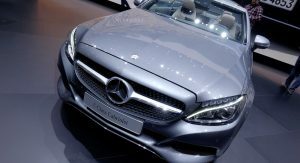 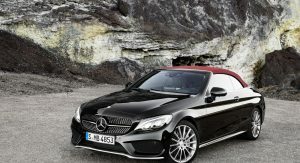 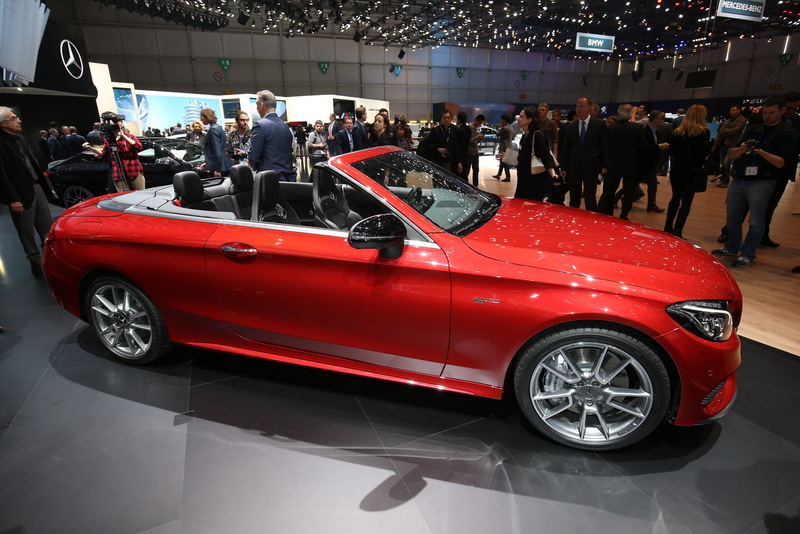 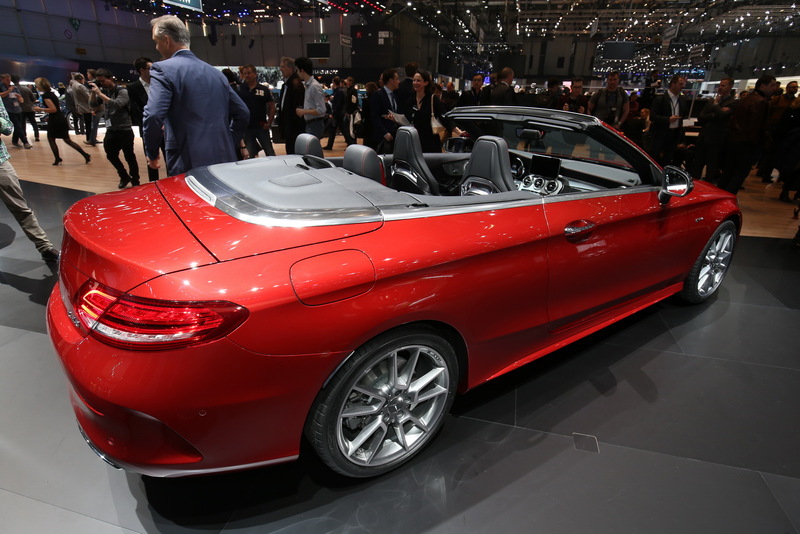 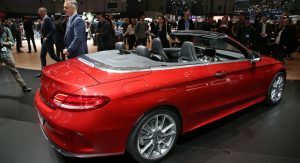 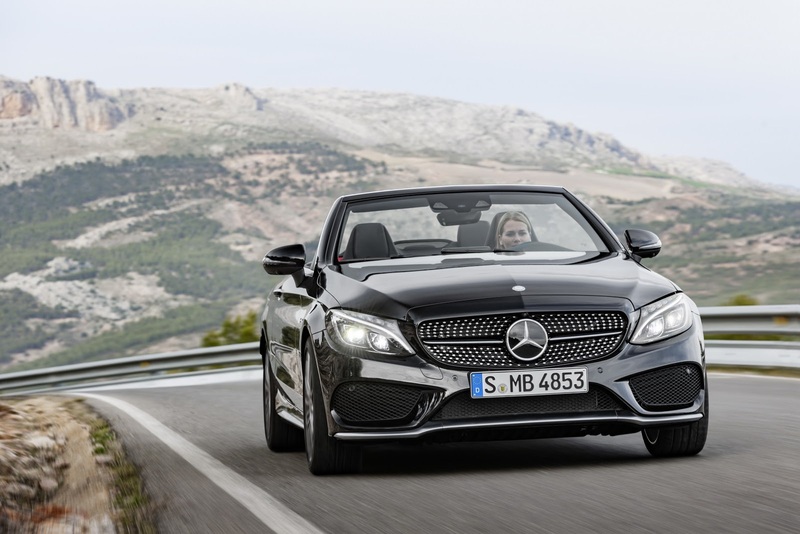 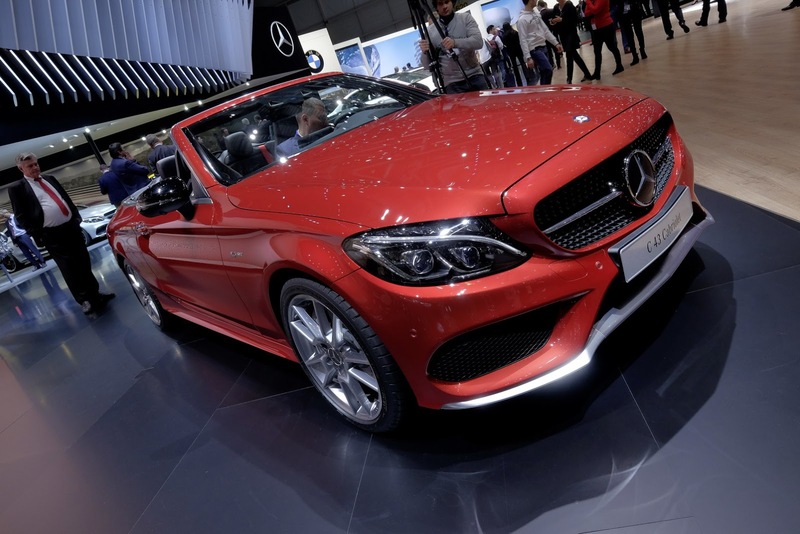 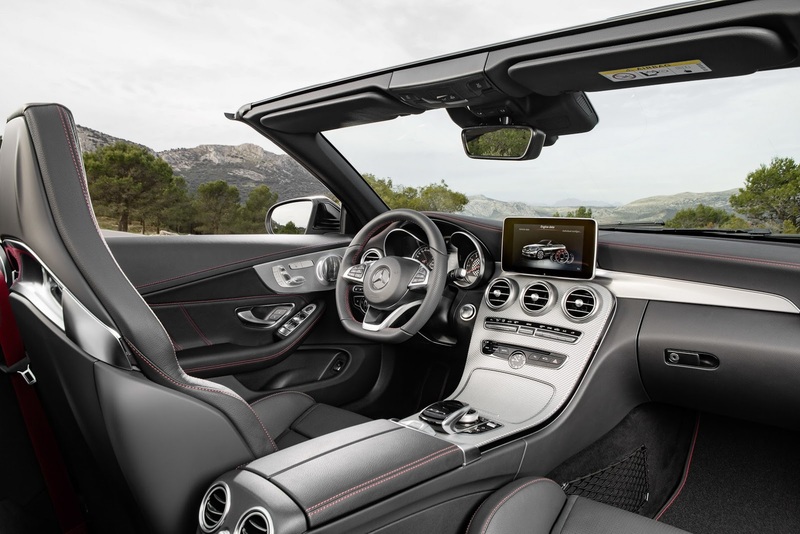 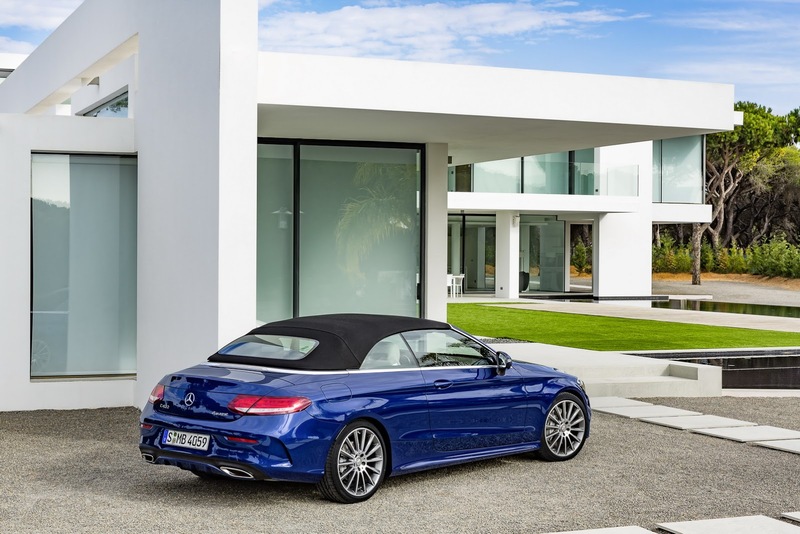 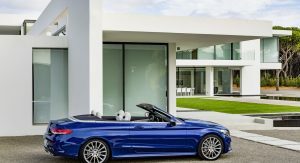 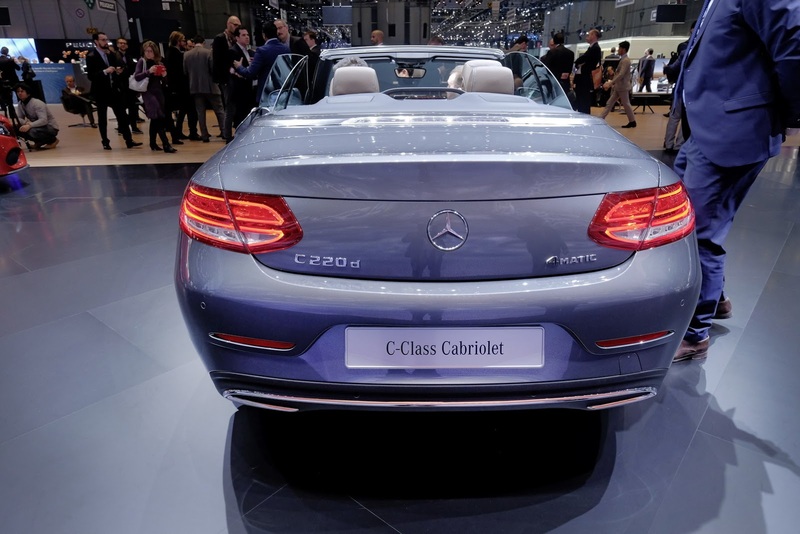 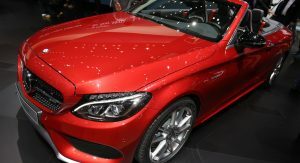 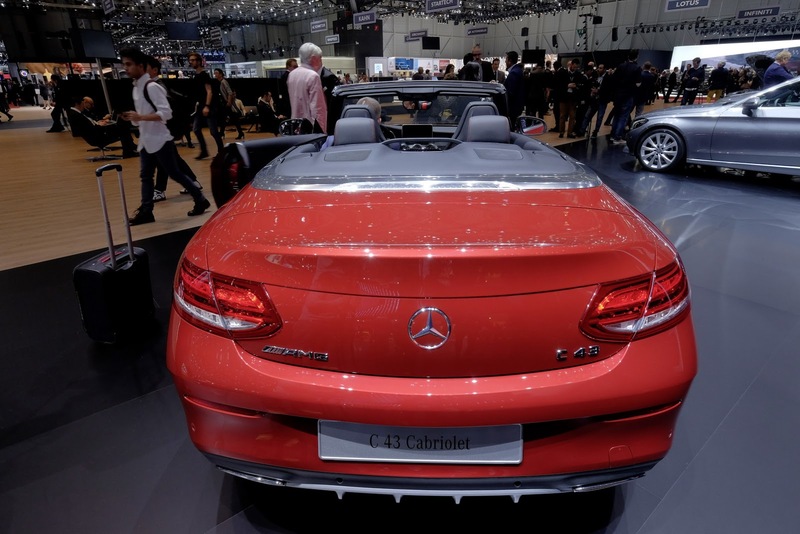 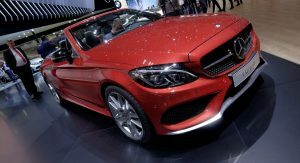 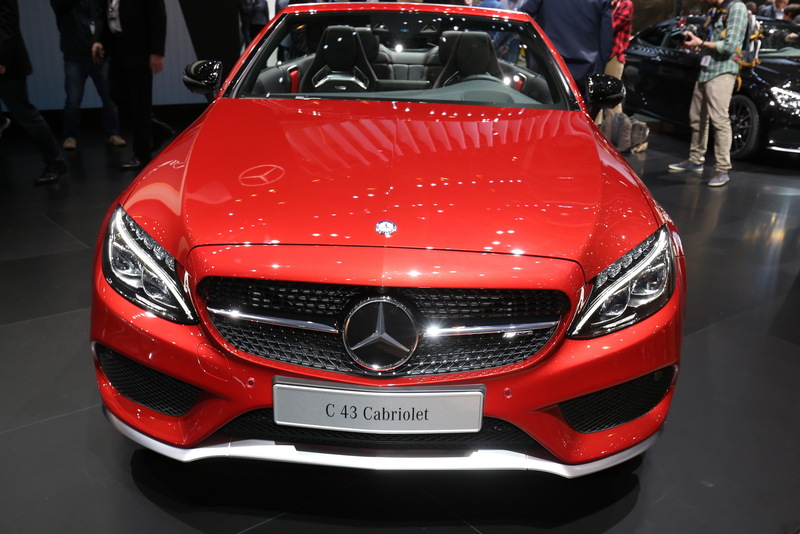 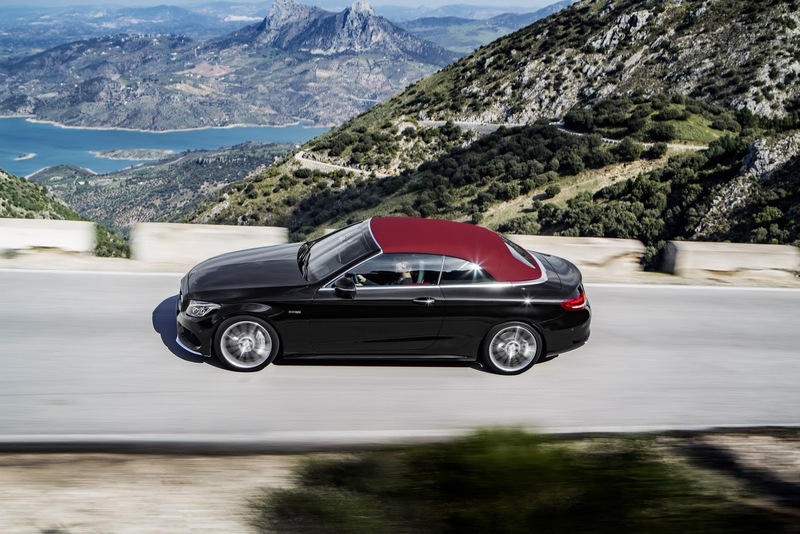 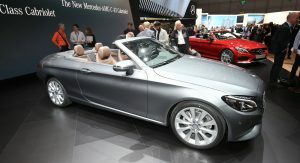 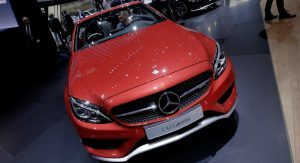 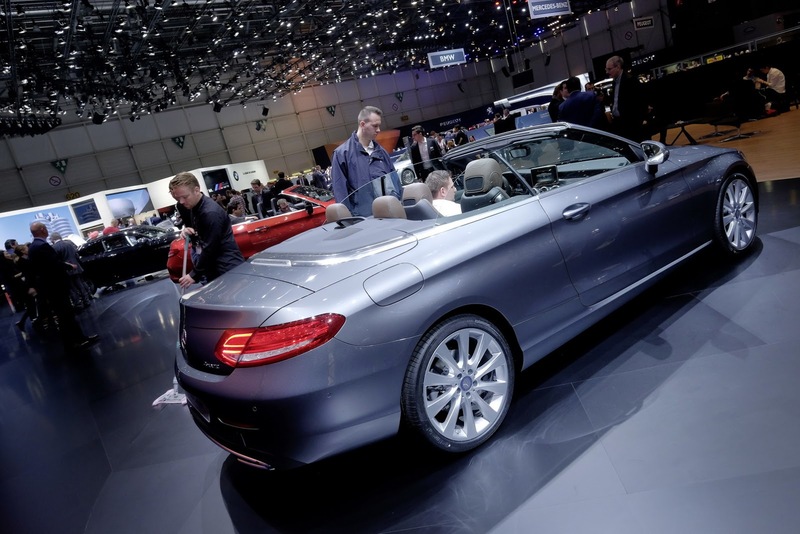 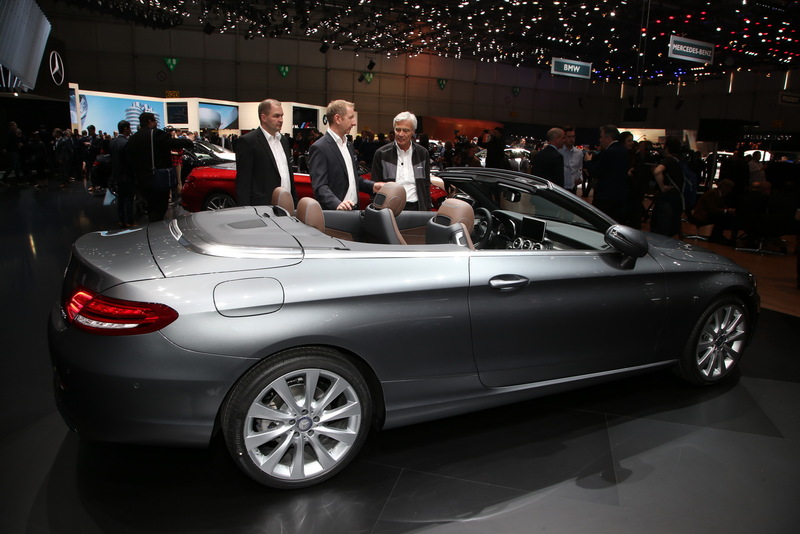 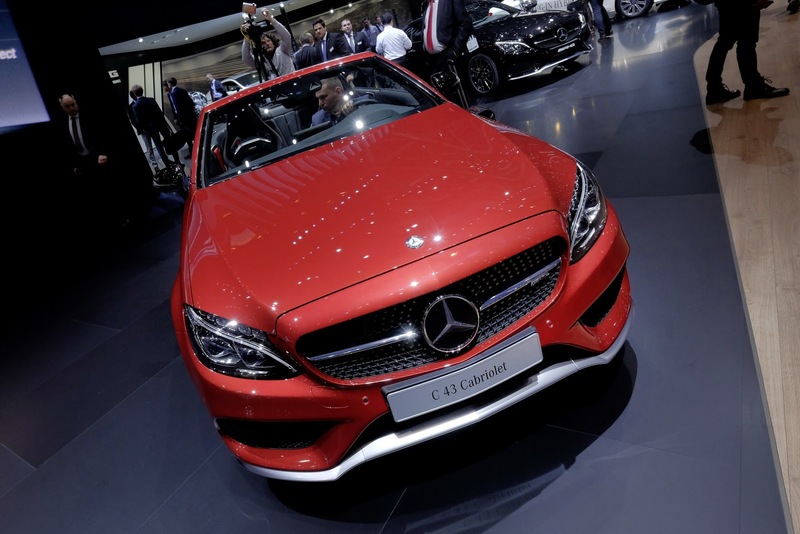 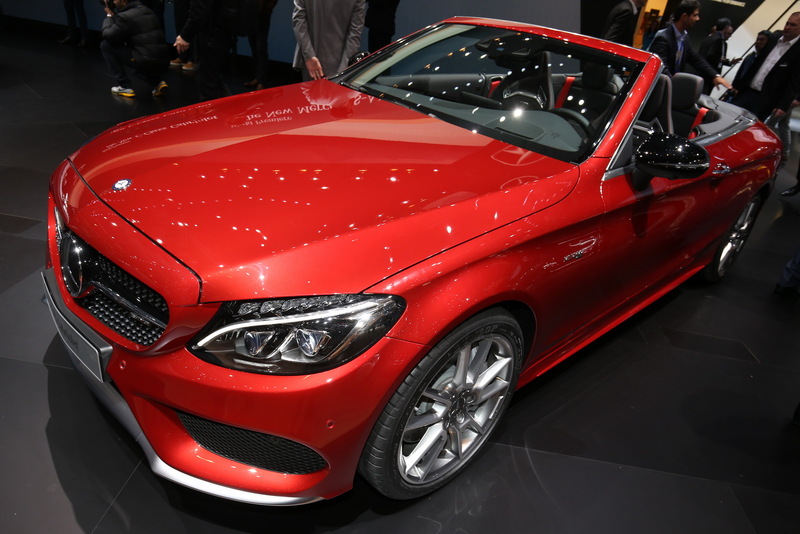 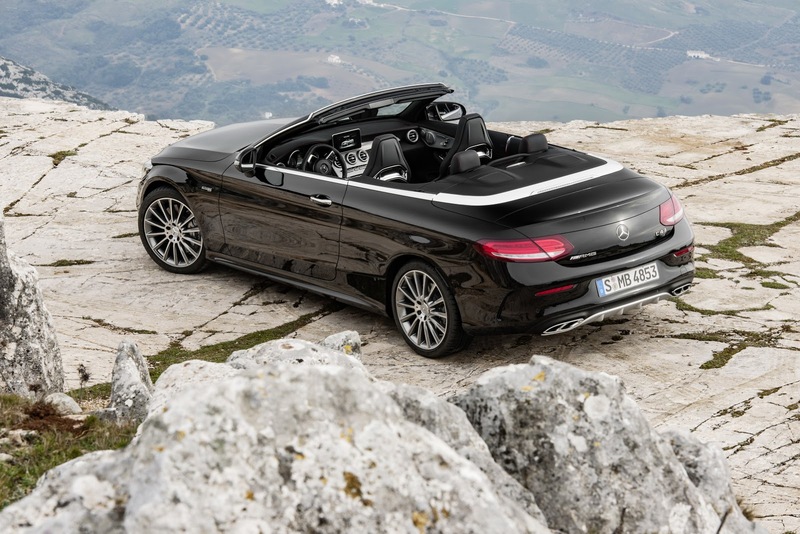 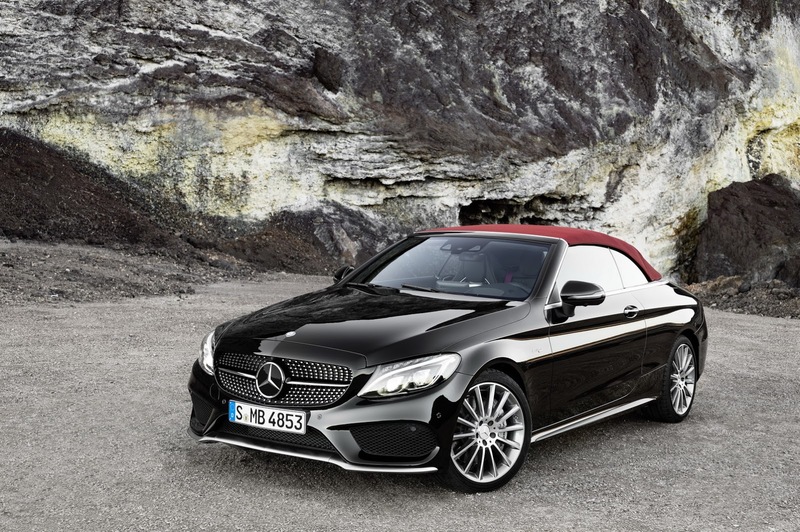 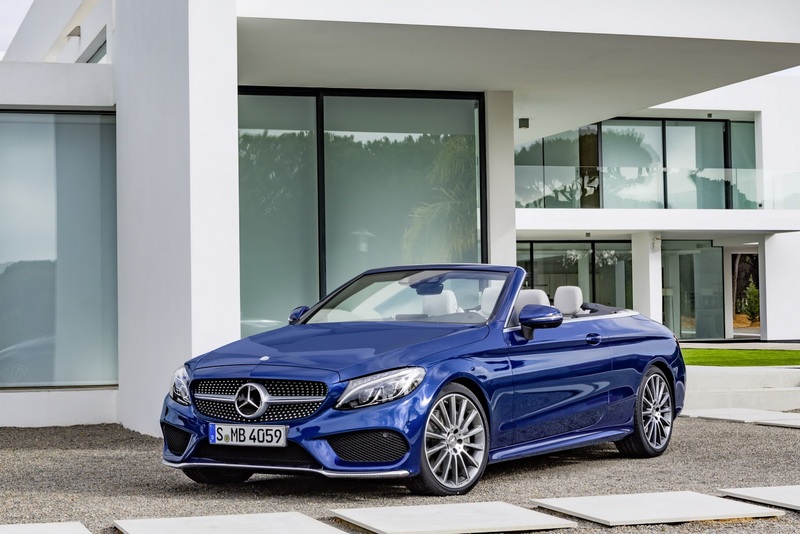 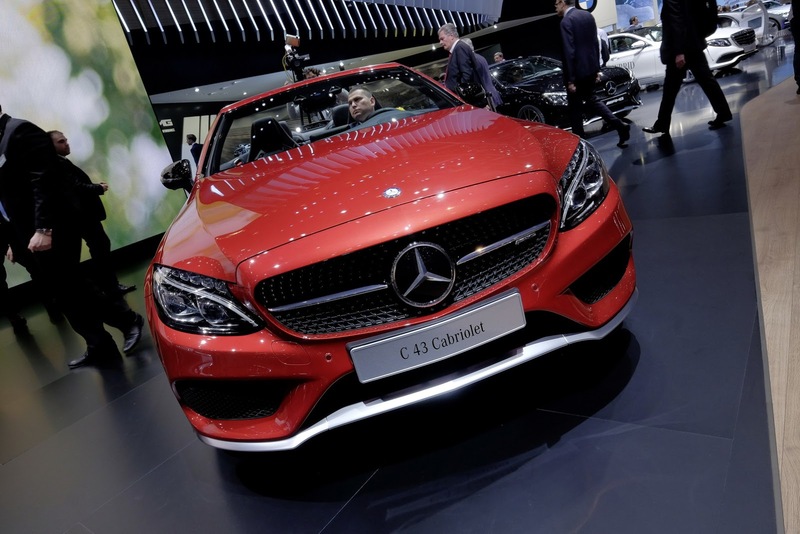 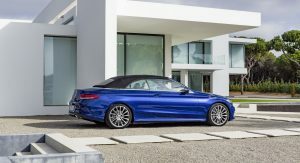 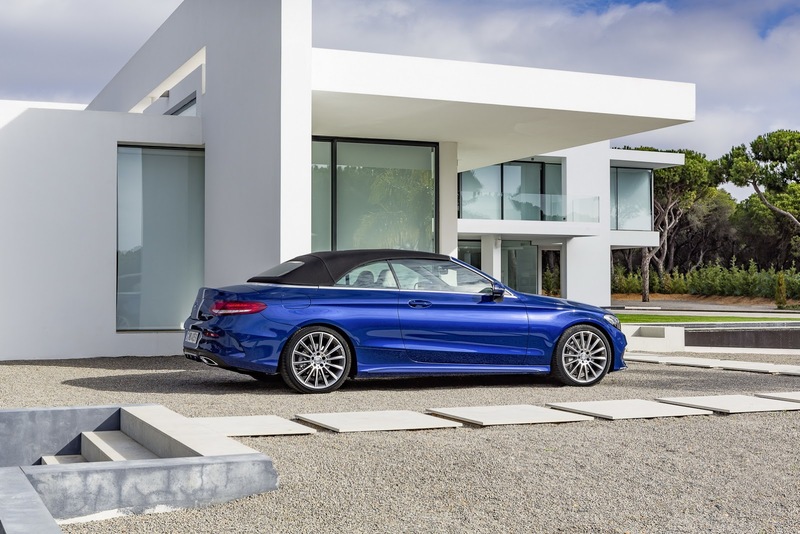 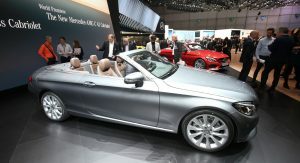 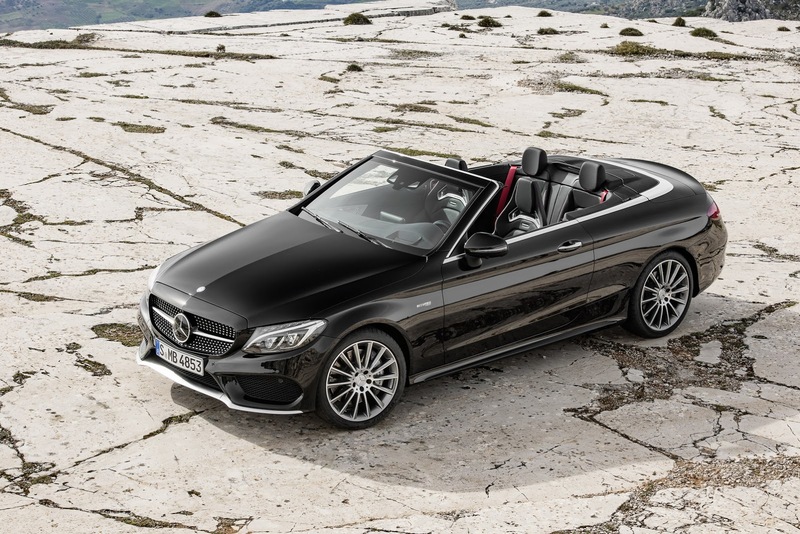 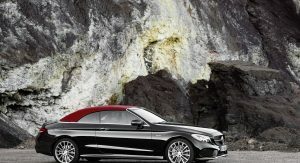 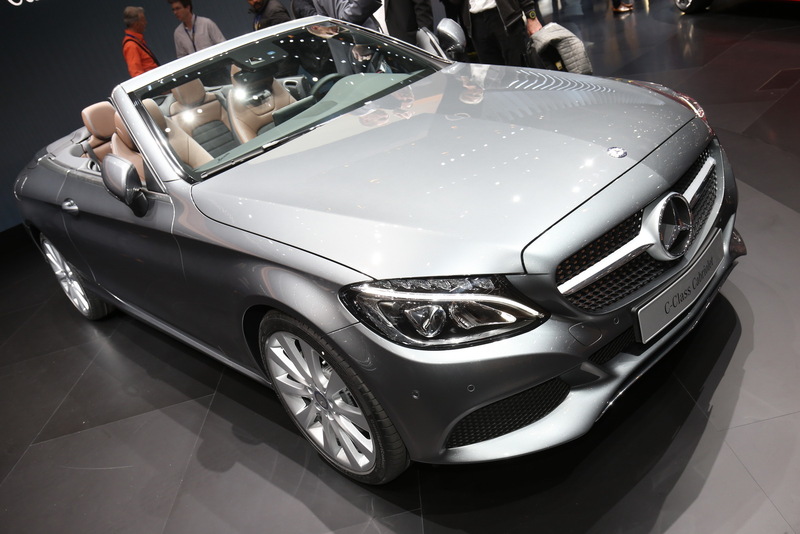 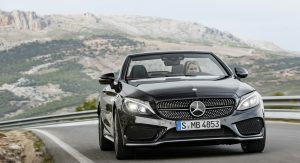 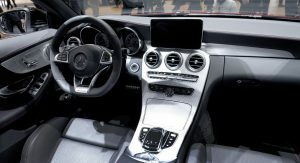 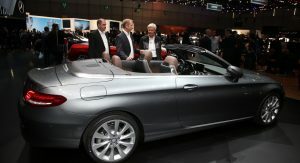 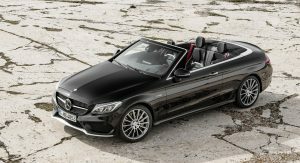 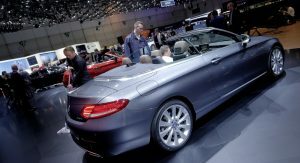 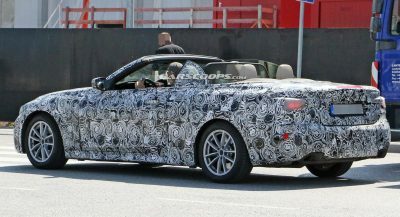 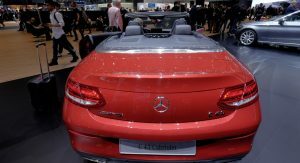 Mercedes added the final member in the C-Class family, revealing the Convertible version at the Geneva Motor Show. 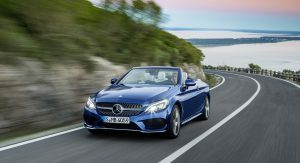 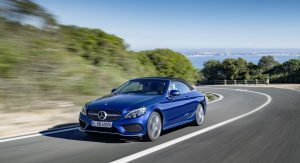 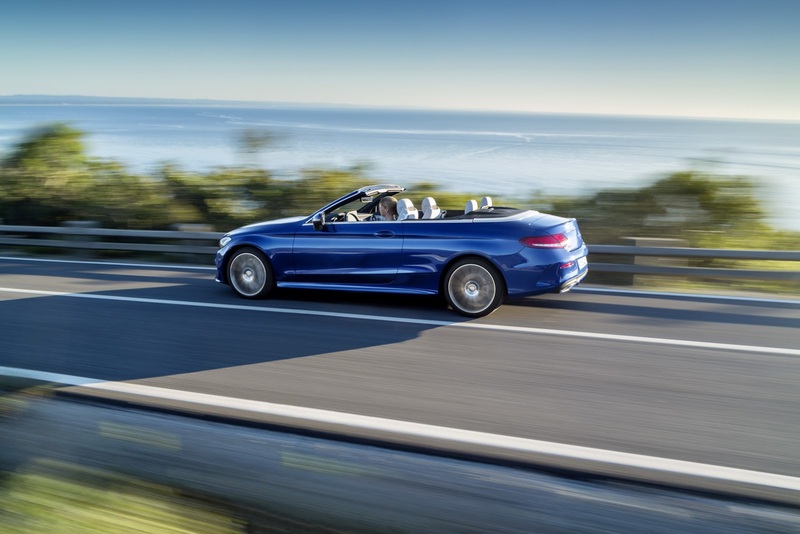 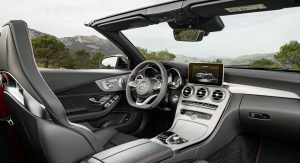 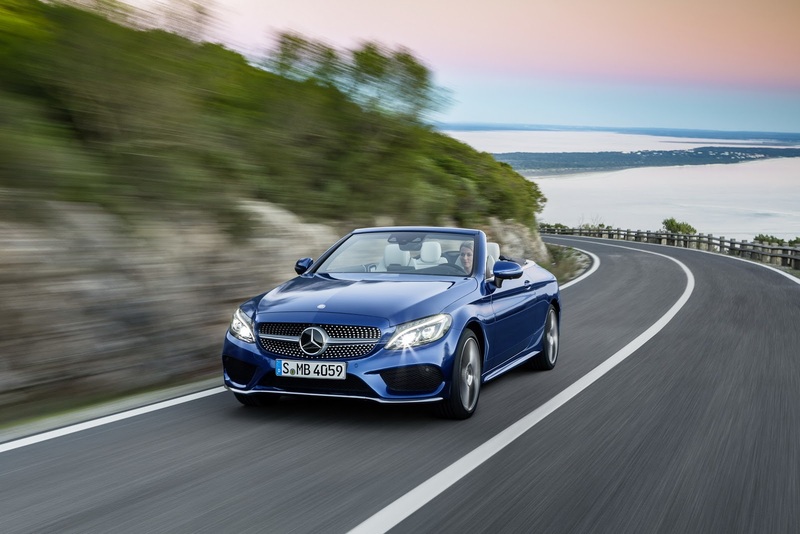 The open-top C-Class offers seating for four passengers as its fixed-roof brother and will be offered with a wide range of petrol and diesel engines. 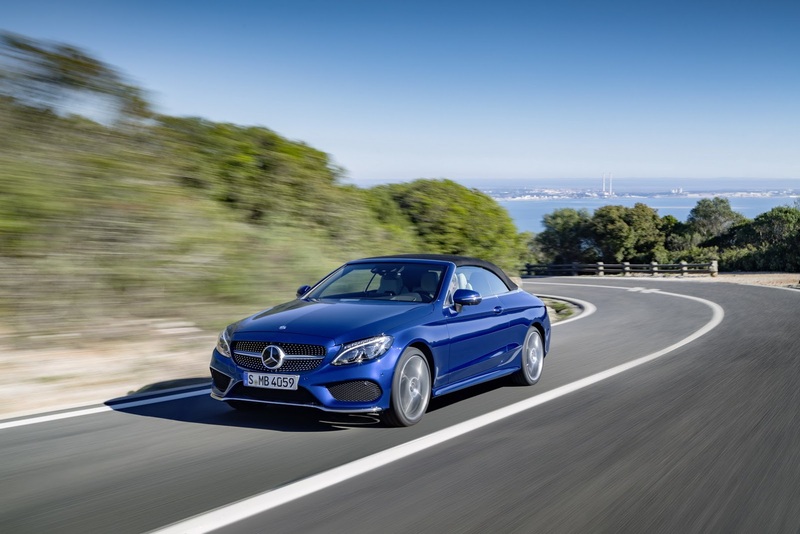 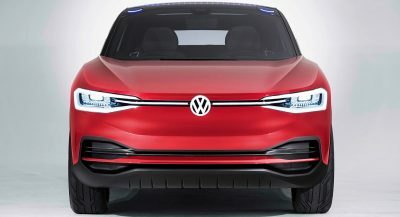 European customers will be able to choose from six petrol and two diesel engines at launch, starting from the 154hp turbo 1.6-litre C180 all the way up to the 362hp twin-turbo 3.0-litre V6 C43 AMG 4-Matic. 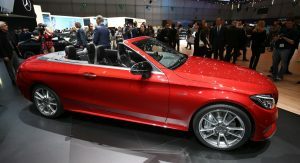 The company’s 2.2-litre diesel engine will be available in 168hp and 201hp versions for the C220 d and C250 d respectively. 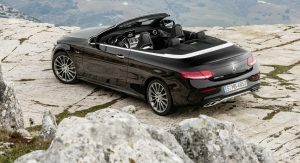 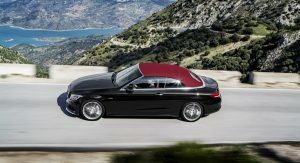 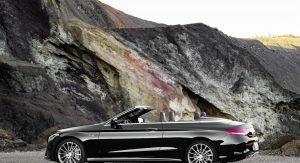 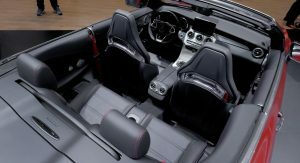 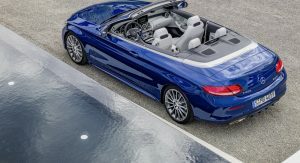 Mercedes will offer a choice of four different colors for the fabric soft top, including dark brown, dark blue, dark red or black, with its mechanism needing less than 20 seconds to operate and up to speeds of 50km/h (31mph). 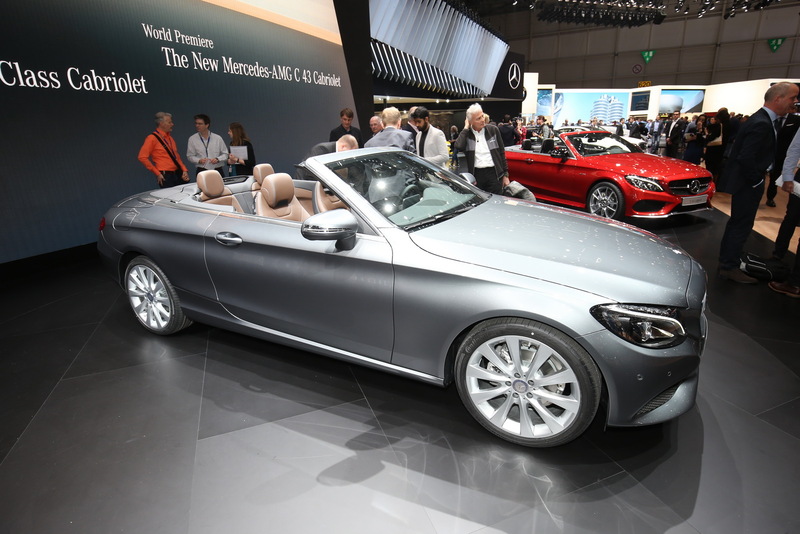 The C200 and C220 d models will be available with the company’s 4Matic all-wheel drive system as an option. 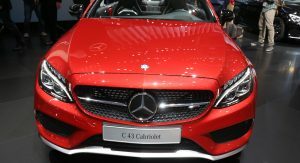 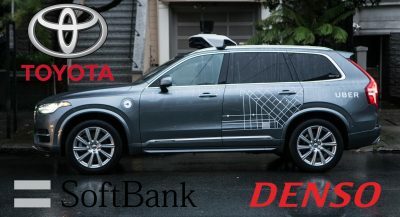 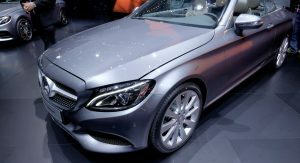 The North American market will get two versions: first the C300 powered by the 241hp turbocharged 2.0-litre petrol and later the range-topping C43 AMG.